Work for 3-month organizing a coalition between labor and community groups to create a one NYC conference on Women Political Empowerment in NYC. More than 200 women attended the conference. Admission was free of cost. Participated in 6 Radio Shows and 7 TV public forums in NY ONE and CUNY TV at WBAI on the work LLI does and cementing on issues of Politics and Policy. 2018-2019 LLI proposed to a number of labor and community and religious groups to begin working on a Community Labor Coalition. The work is ongoing. February 2019. LLI will co-sponsor with The Campaign Finance Board, NY ONE NEWS, POLITICO and NACCP, two prime the televised debates for Public Advocate. The debates will take place on February,6th and February 20. March 30 2019 Women panel on strategies for political empowerment at DC 37. Panelist: Congresswoman Alexandra Ocasio (TBC), Manhattan Borough President Gale Brewer and assemblywoman Mathylde Frontus. PUBLIC POLICY COURSES 2018 Winter Public Policy Courses. 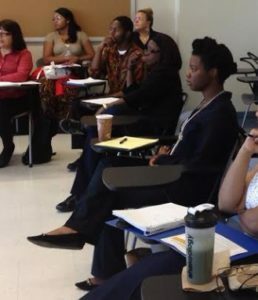 Our 7-year teaching the most current issues and data on public policy in the areas of Health Care –Community Development- Housing and Education specifically created for NYC activist on each of those specific areas. LLI has elected 6 students to city office. 5 of them are women in the Orlando area. LLI is the executive producer of the film Let My people Vote based on the Florida 2016 election that disenfranchised 1,5 million voters mostly of colors because they had a felony conviction. The film has already won 3 festivals for best documentary, Florida audience award 2108- New Orleans Best short Documentary and Los Angeles Film Festival best short film documentary. We are currently adding the footage of the last election of the 2018 midterms to in which the law-disenfranchising voter was defeated in a referendum allowing 1.5 more voters the voting rolls in Florida.